●	Uptown – Uptown is home to well-known venues like the Bank of America stadium and Blumenthal Performing Arts Center, as well as office buildings and universities. The neighborhood’s historic Fourth Ward is mostly residential, with a mix of modern high-rises and older homes. ●	Myers Park– One of the city’s most prestigious neighborhoods, Myers Park has picturesque streets lined with willow oaks and stately Colonials. Freedom Park, which features several sports fields and ball courts, can be found here, along with the Mint Museum of Art. 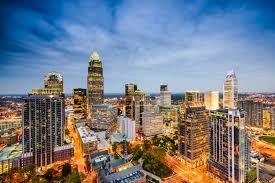 ●	North Davidson – Also called NoDa or the Arts District, this neighborhood is located two miles north of Uptown. Filled with galleries, breweries, restaurants, and live music venues, this former mill village is one of the city’s most eclectic and desirable neighborhoods. If you want to take advantage of Charlotte real estate’s bright prospects, work with an aggressive female agent who will protect your interests. Call me or send an email. ●	US National Whitewater Center (USNWC) – Explore over 1,300 acres of wilderness or go mountain biking on trails that extend more than 30 miles. Try rock climbing or zip-lining and admire scenic views of the surrounding area. Go kayaking, paddle boarding, and whitewater rafting. ●	Carowinds – This amusement park boasts thrill rides like roller coasters and a drop tower, along with slower paced options like the carousel and train loop. Don’t forget to check out Dinosaurs Alive!, a stunning exhibit of about 50 life-size animatronics’ dinosaurs. ●	NASCAR Hall of Fame – Auto racing fans will love this local gem, where over 1,000 artifacts are on display. Take a look at some historic cars and a simulation of different race tracks. Go on a guided tour to make the most of your visit. ●	7th Street Public Market – Buy local produce, flowers, wine, pastries, and more at this indoor marketplace west of the city center. Vendors selling pizza and coffee can be found here, along with stalls that sell organic beauty products.